Congratulations to Hillel Adesnik, Xavier Darzacq, and Polina Lishko on their promotions to MCB Associate Professors! 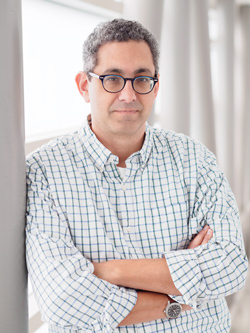 Hillel Adesnik studies the dynamics of neural circuits underlying information processing in the cerebral cortex. 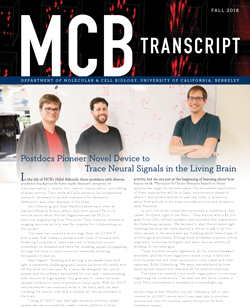 His lab seeks to understand how cortical microcircuits process sensory information to drive behavior. Xavier Darzacq studies transcription regulation during cellular differentiation. 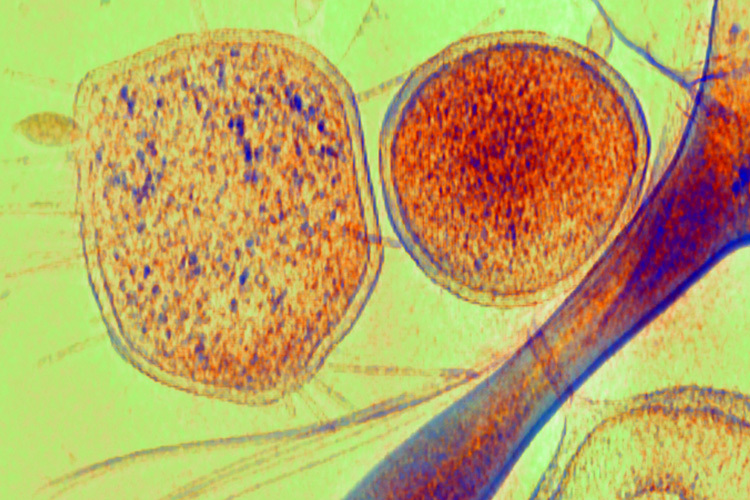 The Tjian-Darzacq group focuses on the role imposed by nuclear architecture on the molecules regulating transcription, and have developed new techniques to study the organization of proteins in the nucleoplasm. Polina Lishko studies cell biology of mammalian fertilization. 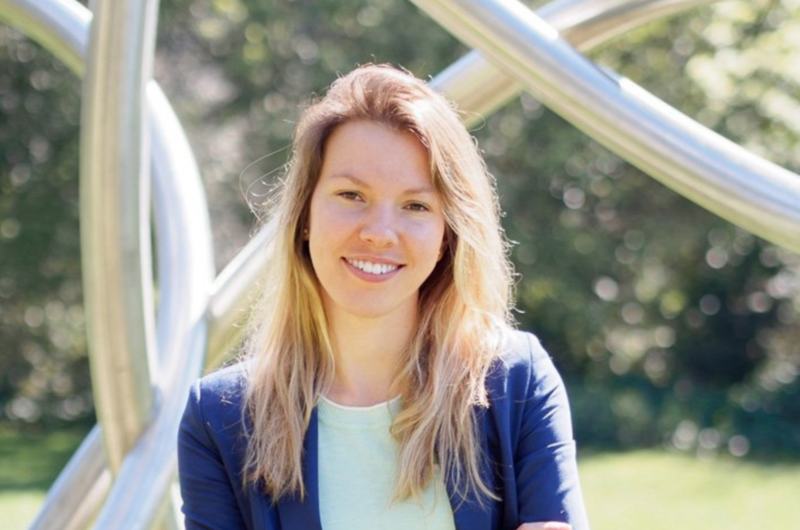 Her research on human sperm cell motility may lead to new forms of male contraceptives. 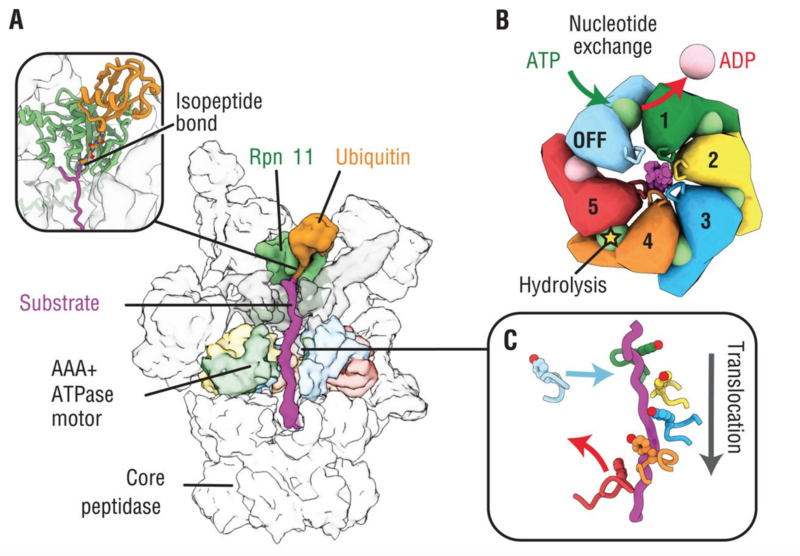 A new study from MCB Associate Professor & HHMI Investigator Andreas Martin reveals how proteasomes convert energy into mechanical motion to break down and recycle proteins. 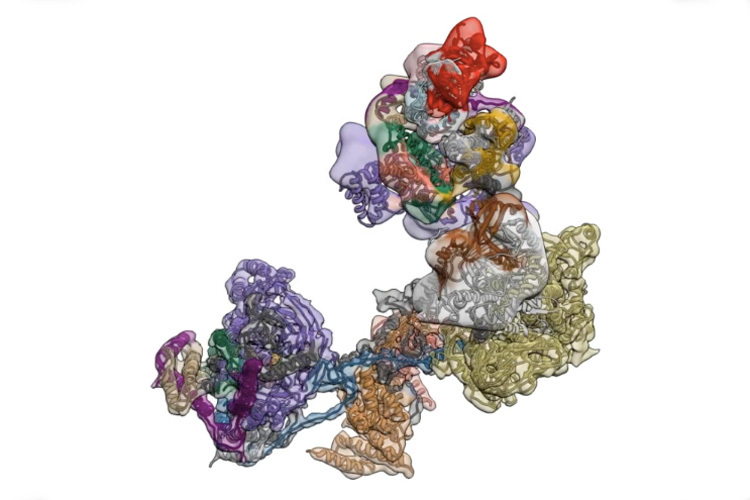 This research on the mechanism of proteasomes could improve treatment of diseases such as Parkinson's, Alzheimer's, and cancer. It is with great sadness we report the passing of Jack Kirsch, who served as a Professor of MCB and Chemistry from 1964 to 2006 and as a Professor of the Graduate School in retirement. Jack was an esteemed scientist and a pillar of the campus community who will be greatly missed by all who knew and worked with him. 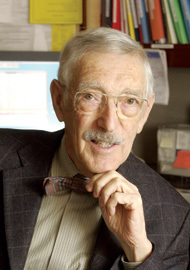 Jack received the UC Berkeley Edward A. Dickson Emeriti Professorship in 2016, a prestigious award that recognizes dedicated Emeriti who have made outstanding and far-reaching contributions to teaching, research, and public service. 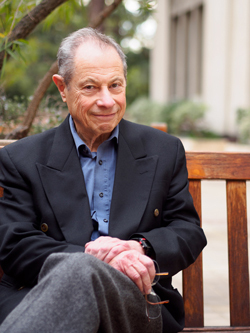 The award epitomizes the remarkable impact Jack had on the Cal community, from his groundbreaking research career in the field of biochemistry to his passion for teaching a freshman seminar titled "Sampling the Performing Arts at Berkeley." In this time of loss, we as a community must remember how fortunate we are to have been influenced by Jack's great legacy. We offer our condolences to Jack's family and close friends. 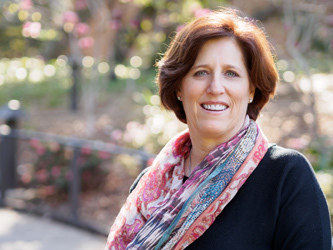 Congratulations to MCB Professor Susan Marqusee for becoming a 2019 Miller Senior Fellow! 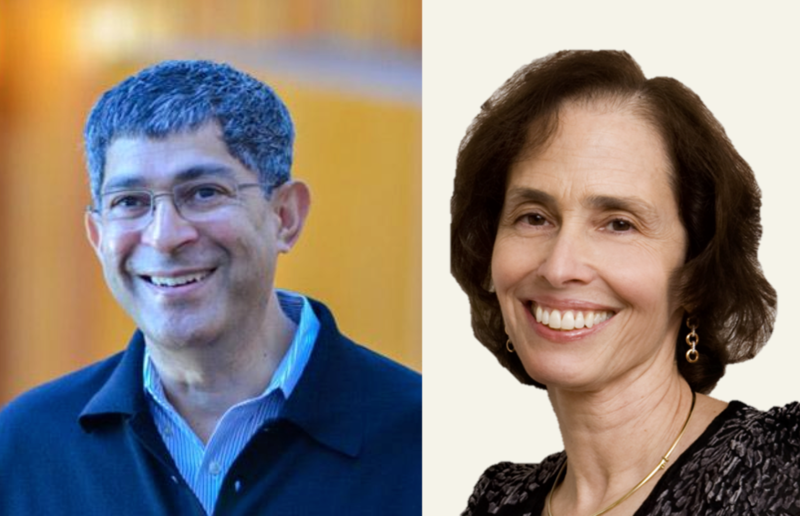 The fellowship supports excellence in science at UC Berkeley by enhancing interactions among Miller Institute Fellows, all of whom are accomplished and distinguished scientists in their field. It also provides significant discretionary funds for research. 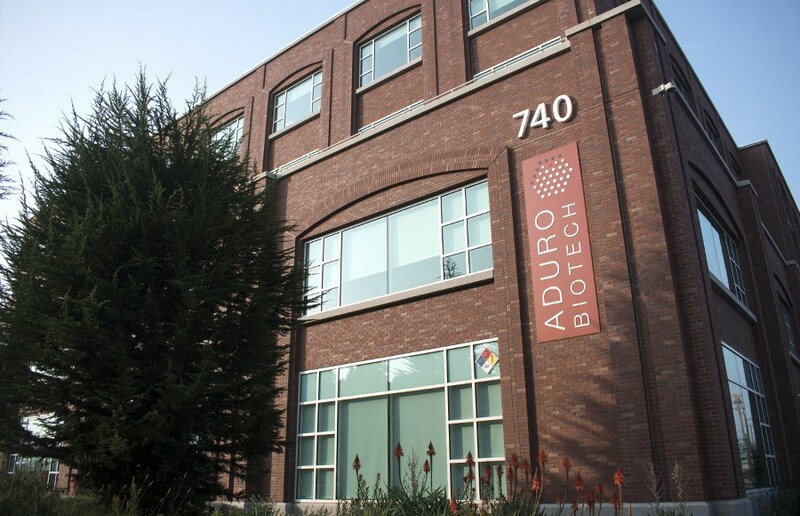 The Immunotherapeutics and Vaccine Research Initiative (IVRI) is partnering with Aduro Biotech to fund exploration into new cures for cancers and infectious diseases. “It’s a successful example of private academic with public industry partnership… We managed to generate a really good platform for research,” said Julia Schaletzky, Executive Director of IVRI. MCB Professor David Raulet serves as Faculty Director of IVRI. According to Raulet, the partnership is unique for two reasons: it unites infectious disease researchers and cancer immunologists, and it funds basic science instead of research into particular cancers or diseases. On November 5, UC Berkeley hosted the 2019 Breakthrough Prize Symposium. The event hosts talks from some of the world's brightest minds at the forefront of fundamental physics, life sciences and mathematics. 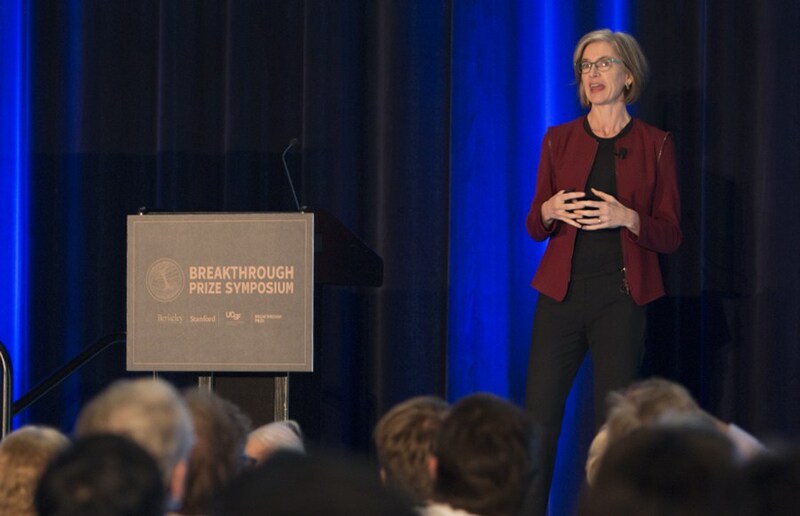 Professor of MCB & Chemistry Jennifer Doudna, recipient of the 2015 Breakthrough Prize in life sciences, spoke on recent breakthroughs in CRISPR research. Her presentation, titled Recoding Life: The Future of Gene Editing, can be viewed here. MCB Professor Daniel Rokhsar has been appointed to the Marthella Foskett Brown Chair in Biological Sciences. The Chair supports faculty research in quantitative and systems biology. Congratulations to MCB & Chemistry Professor Jennifer Doudna, who is one of five recipients of this year's Medal of Honor from the American Cancer Society! Medal of Honor recipients are "distinguished individuals who have made valuable contributions in the fight against cancer through basic research, clinical research and cancer control." 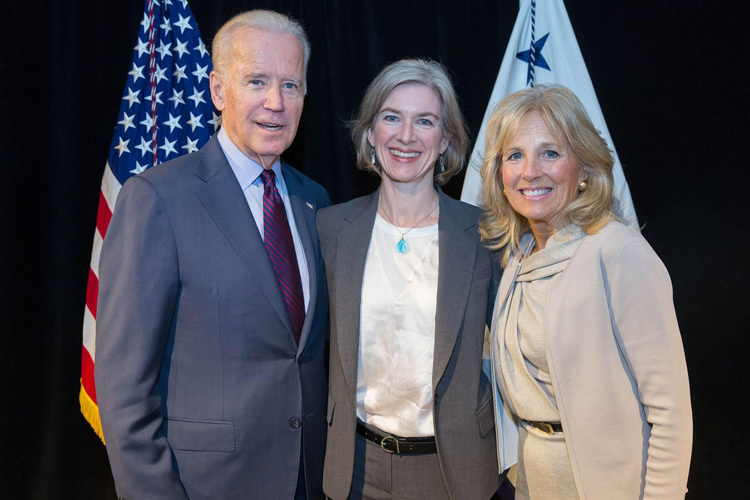 Professor Doudna joined four others in receiving the award at a ceremony today in Washington, DC: former Vice President Joe Biden, CRISPR co-inventor Emmanuelle Charpentier, geneticist Charis Eng, and cancer researcher Michael Thun. 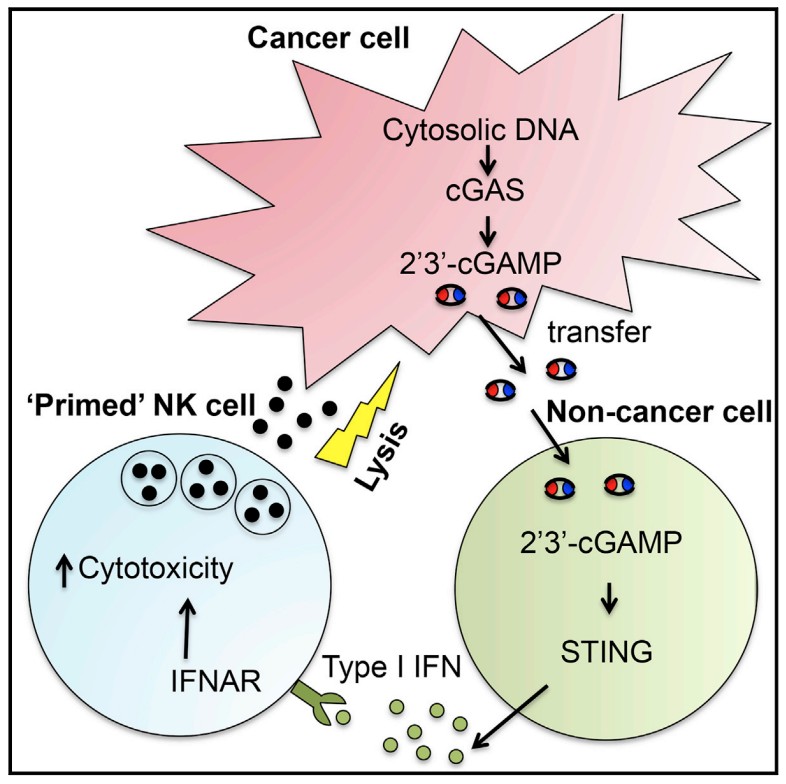 Two new publications from MCB Professor David Raulet and collaborators focus on the role of natural killer cells in anti-tumor responses. Natural killer cells are a type of white blood cell that have an important role in defending against virally infected cells and tumors. A new paper by Professor of the Graduate School Bruce Ames, published in Proceedings of the National Academy of Science, argues that a set of vitamins and minerals that are lacking from many Americans' diets may be key to defending against many chronic diseases and promoting healthy aging. The publication is the culmination of a decade of research completed at Children's Hospital Oakland Research Institute (CHORI) and "concludes that healthy aging can be extended by ingesting optimal levels of 30 known vitamins and essential minerals, and he suggests that these, along with 11 additional substances not currently classified as vitamins, should be recognized as essential 'longevity vitamins' because of their potential to extend a healthy life."